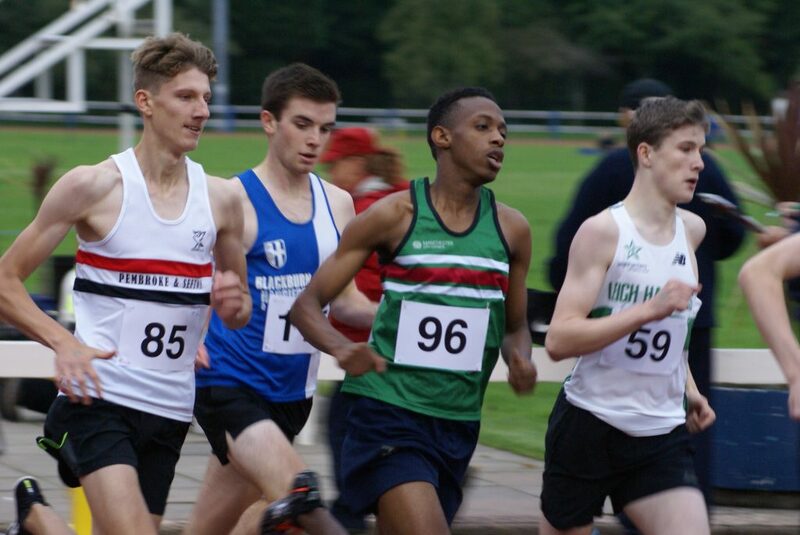 U20 Joe Gebbie has had a great season this year finishing off on a high with a new 800m PB of 1.59.87 (5th) at the final Trafford Meeting of the season and the first time he has broken the 2 minute barrier. 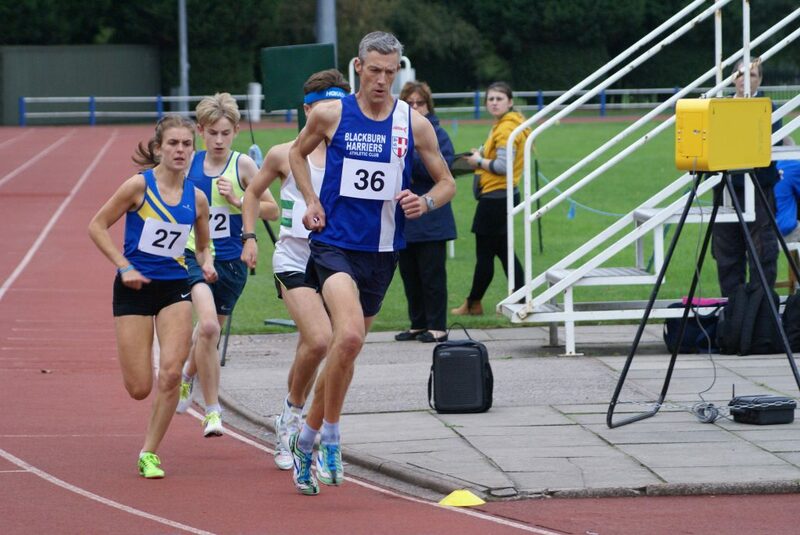 This new personal best represents a seven second improvement since April. 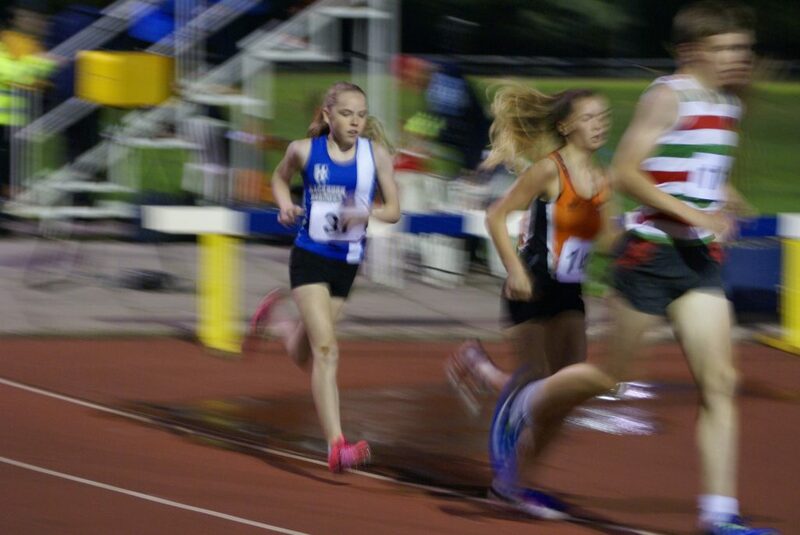 U17 Amy Davies also set a new PB over 1500m (2nd) as she ran a good race to clock 4.57.47, a second and a half improvement from her previous best (2017) and a four second improvement on her seasons best. 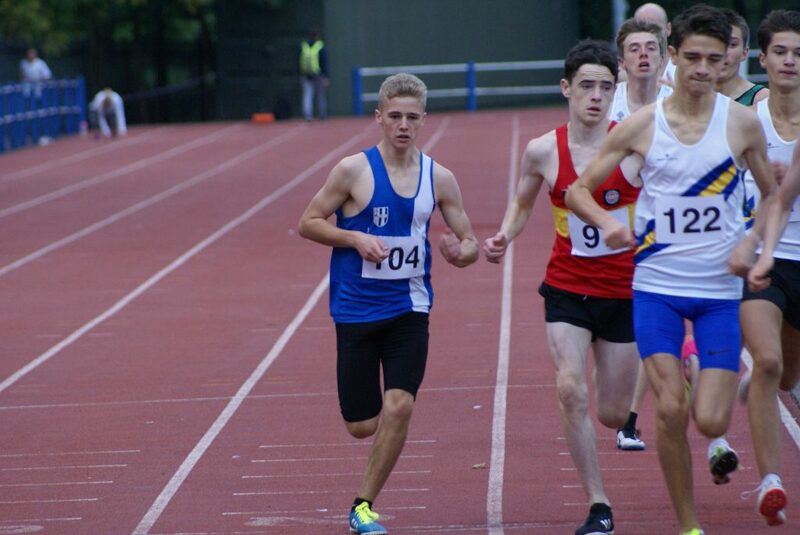 U17 Sam Hodkinson came within a second of setting a new PB as he ran a time of 2.06.19 to place 6th in his Heat. 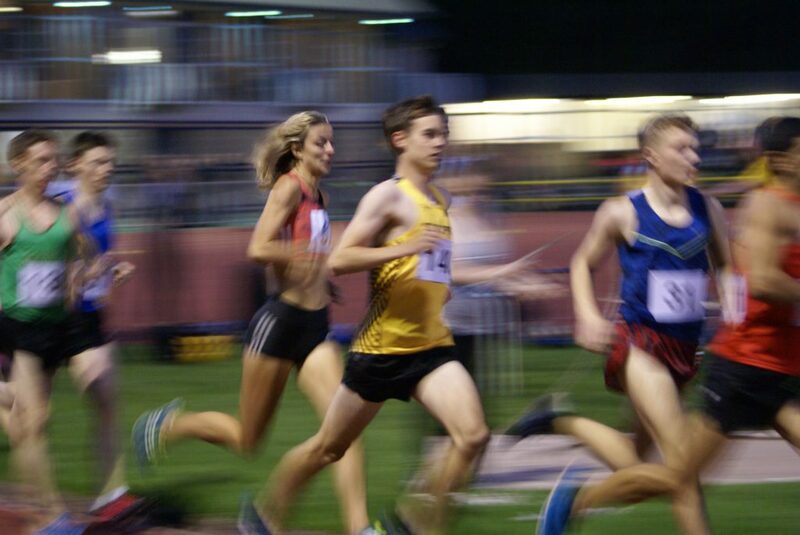 Jess Judd ran the 1500m in an all male field and gave it a real go mixing it with all the front runners in the sixteen strong field, coming home in 7th spot with a time of 4.09.27. 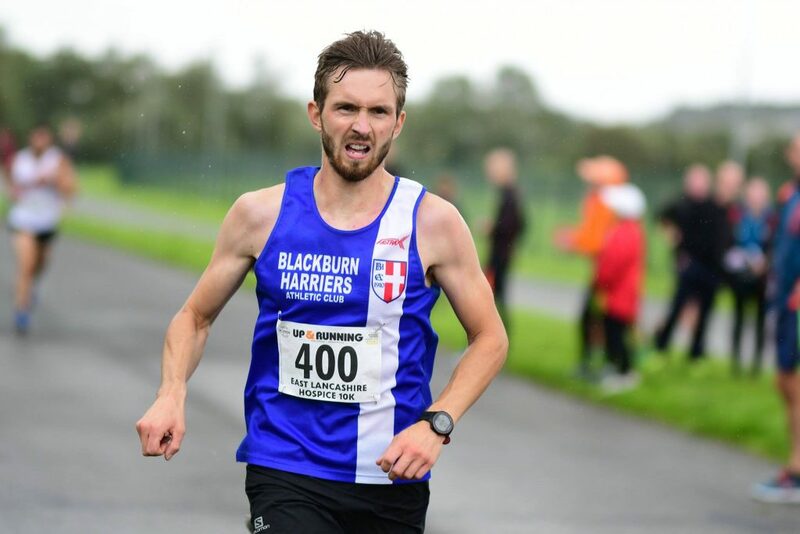 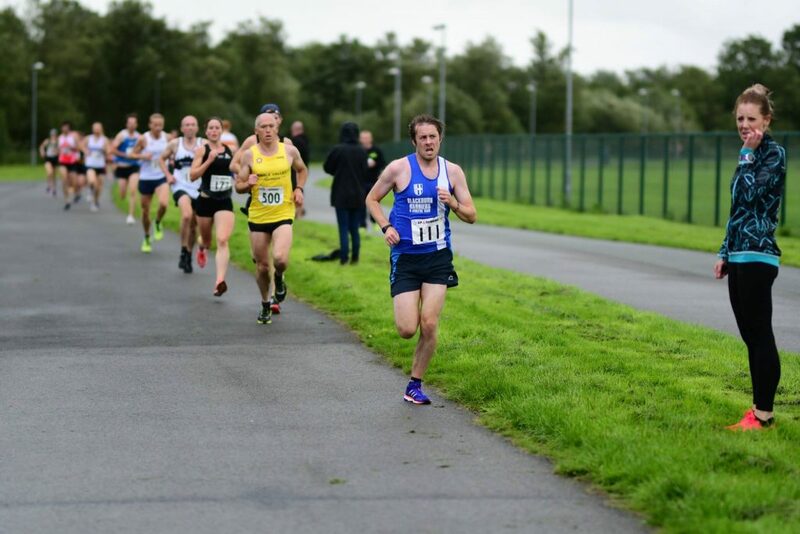 V40 Chris Davies took on the 3000m with the ambition of setting a new PB and he wasn’t far off as he ran a seasons best 9.23.57 in the ‘A’ Race (10th) – just two seconds slower than his previous best. 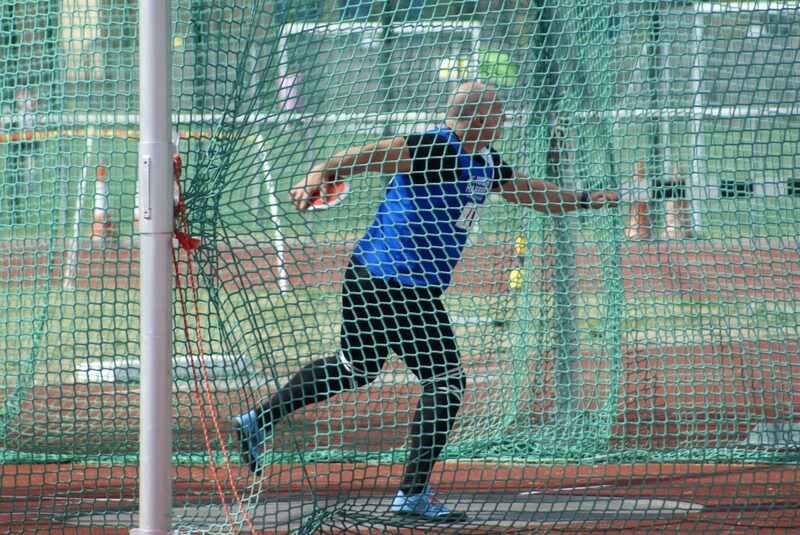 After picking up two Bronze Medals at the British Masters Championships over the weekend in Hammer and Shot V50 Tony Balko was out again in Discus and Shot at the Trafford Meeting winning the Discus event with a throw of 35.99m followed by a 3rd place int eh Shot Putt (10.37m). 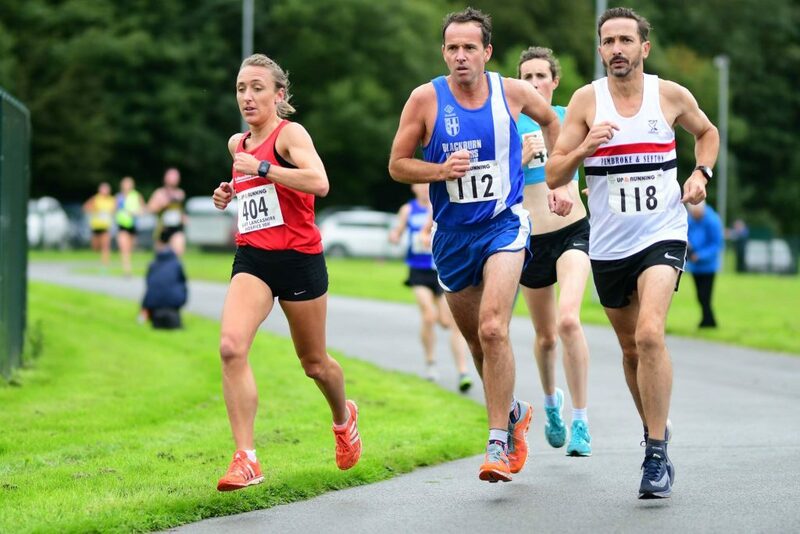 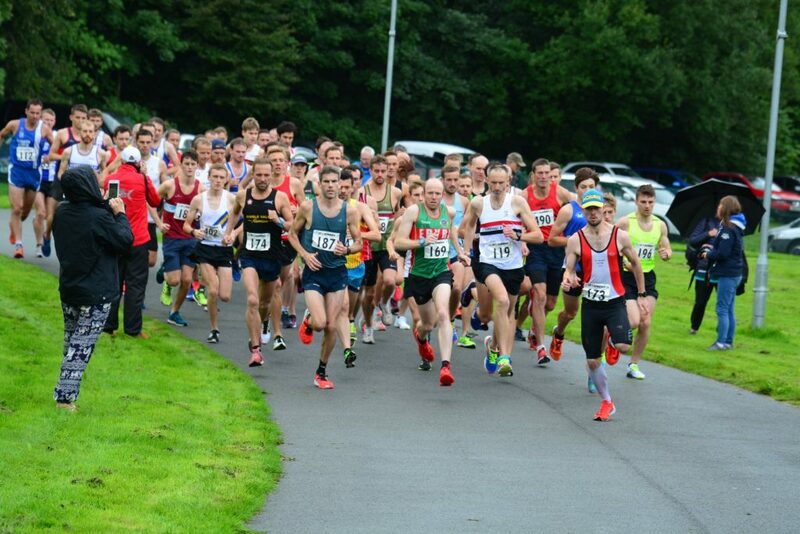 A wet and windy day for the athletes at this popular 5k Race run on the cycle track at Barrowford which attracted 65 runners in the ‘A’ Race and 43 in the ‘B’ and among them five Blackburn Harriers. 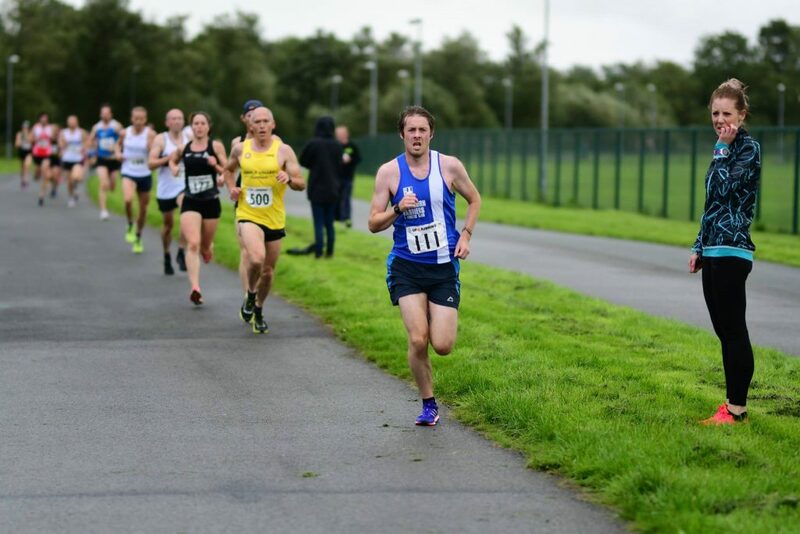 The ‘A’ Race was won by Nick McCormick in a pretty rapid time of 14.46 whilst the ‘B’ winner – Ashley Crawford – clocked 17.16. 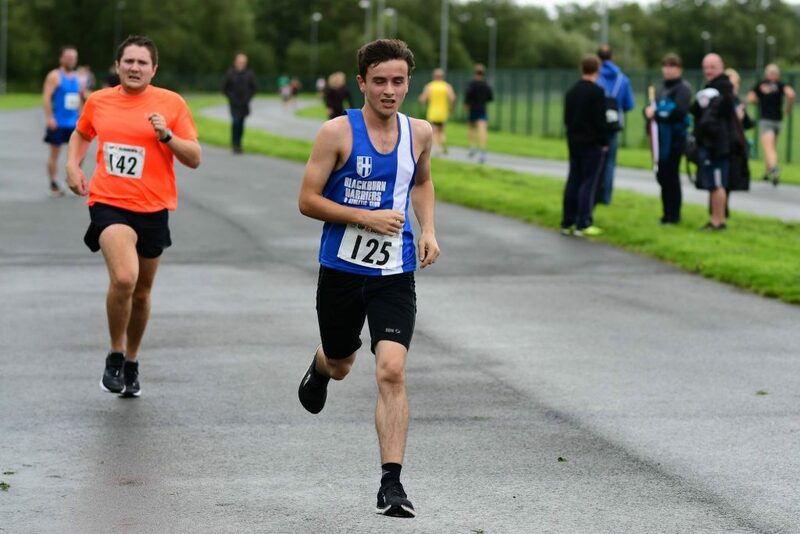 Karl Billington led the way home for the Harriers in the ‘A’ Race crossing the line in a seasons best time of 16.17 for 23rd place and a 24 second improvement from his last outing on this course. 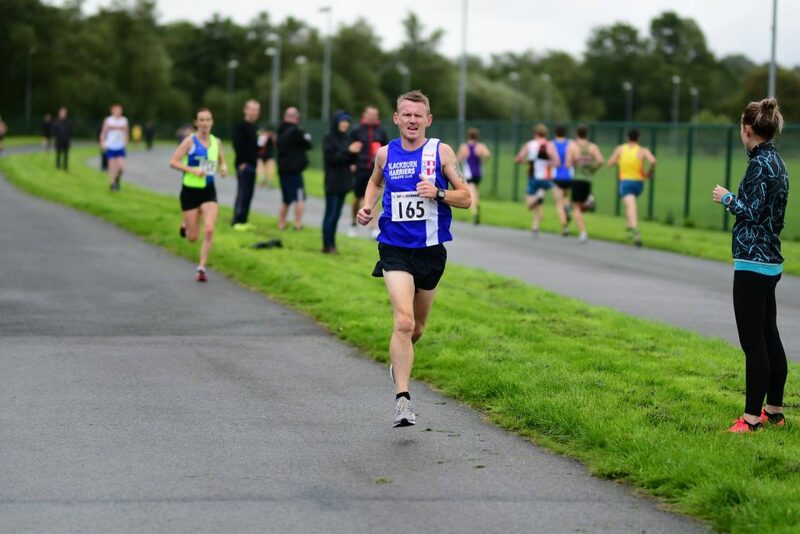 John Horrocks who has been racing a lot on the Fells this year was next home for the Club clocking 17.00 exactly in 46th place with V45 Paul Brindle in 55th position (17.22) and V45 Paul Guinan just five seconds further back in 17.27 (58th). 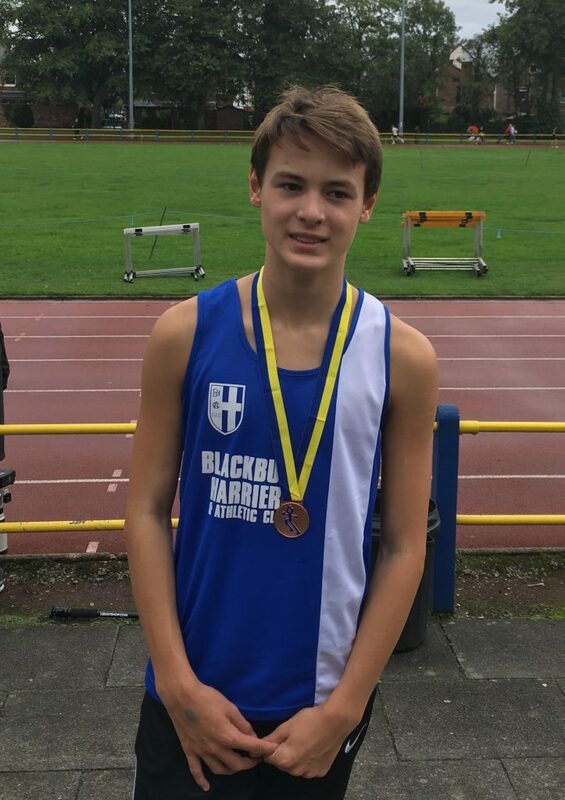 Harry Wilkin ran in the ‘B’ Race running a time of 19.43 in 21st spot. 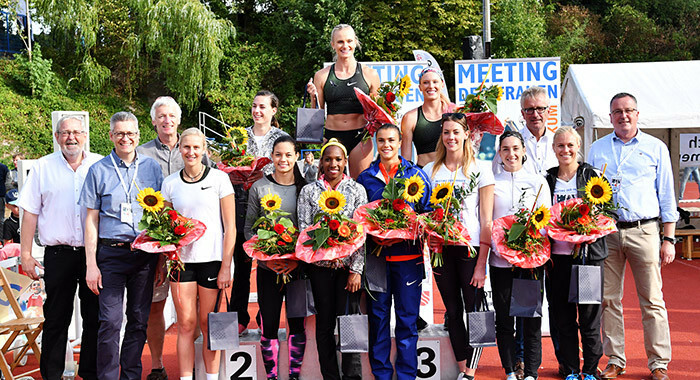 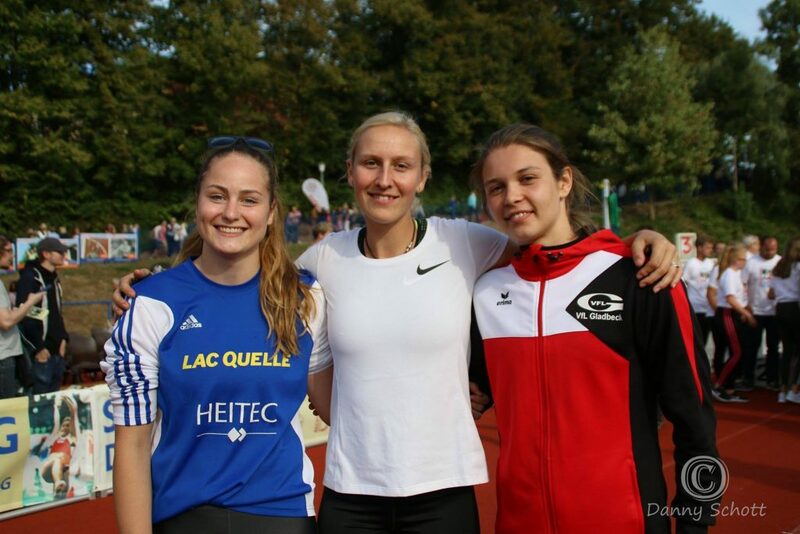 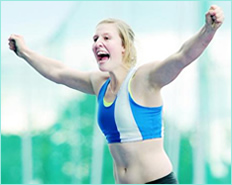 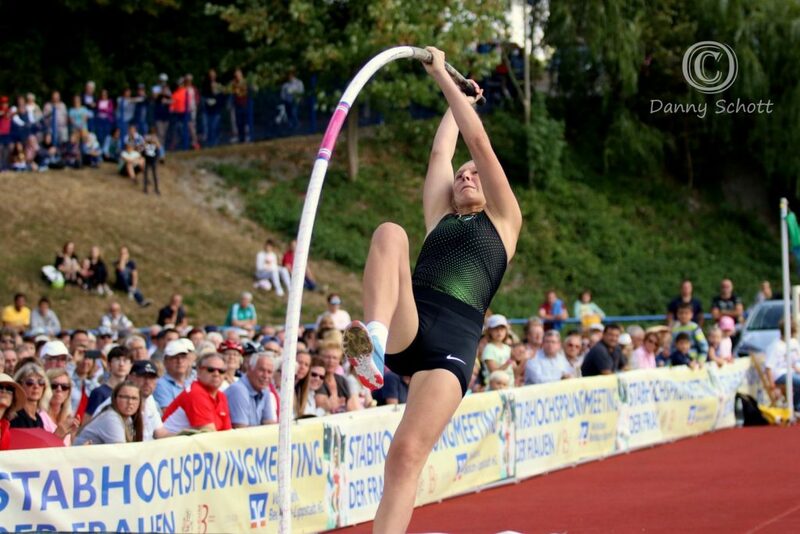 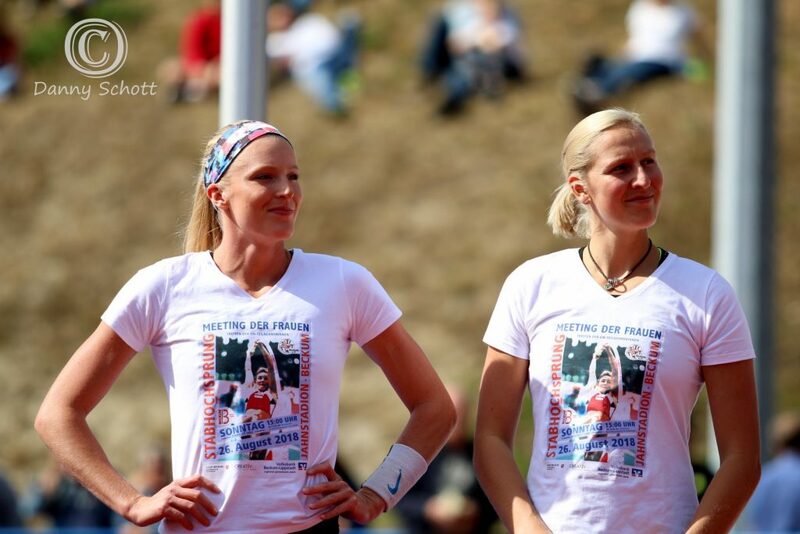 Holly Bradshaw was back in Germany over the weekend in an International Pole Vault Competition which saw her up against ten othet top class Pole Vaulters including Katie Naegeotte, Sandi Morris and Yarisley Silva. 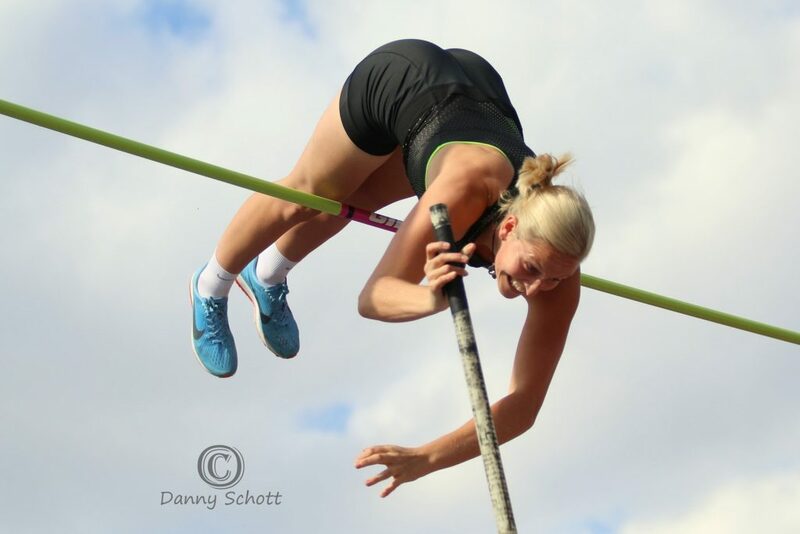 Holly cleared first time at 4.34m, 4.48m and 4.60m before going out at 4.70m to finish 4th overall to Katie Nageotte who won with a clerance of 4.80m.